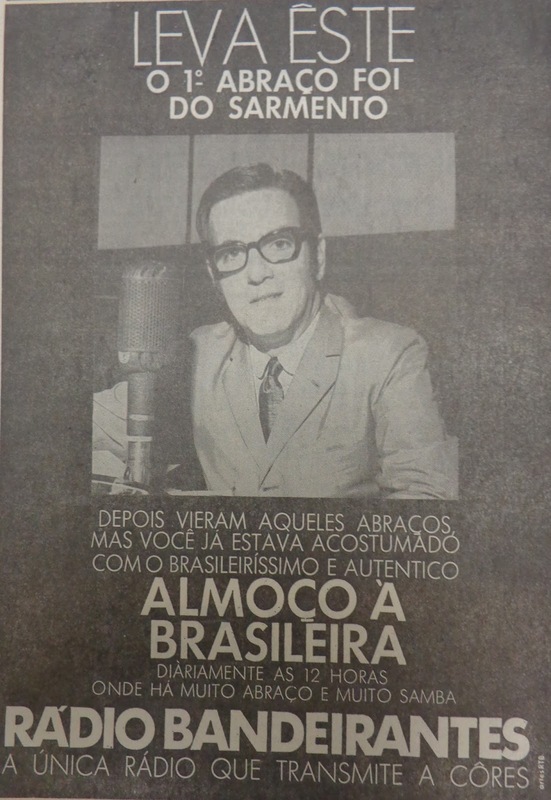 Moraes Sarmento at noon; Miguel Vaccaro Netto at 1:00 PM. 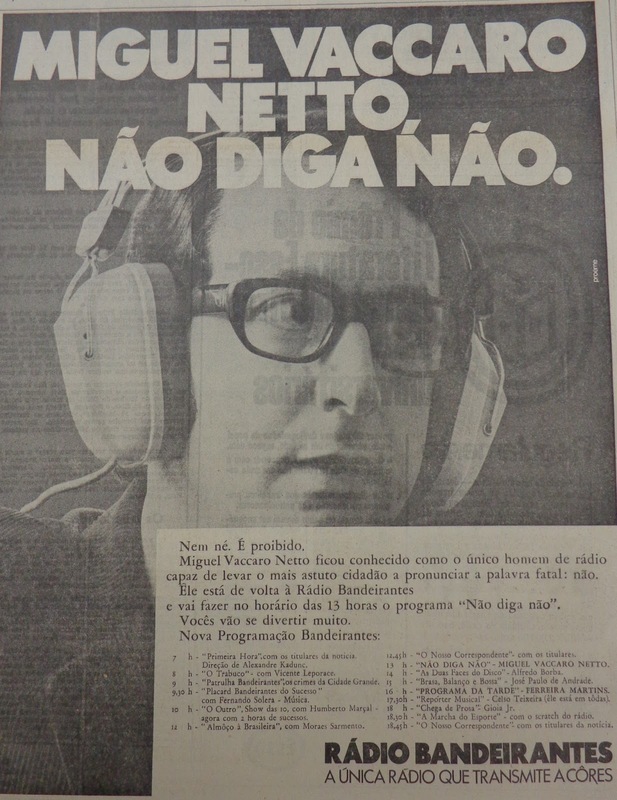 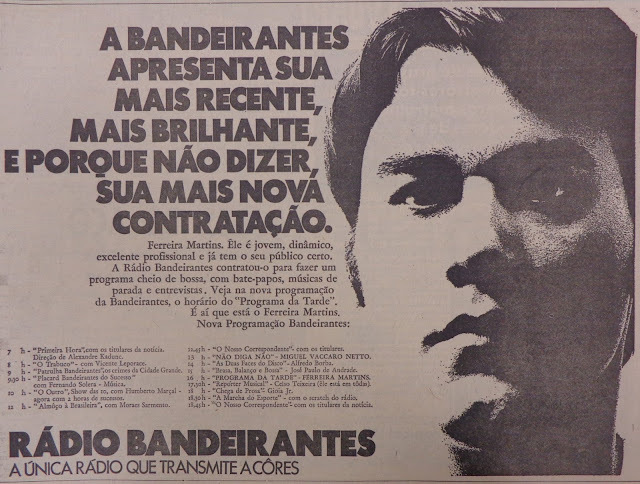 Darcio Campos was 'new blood' for Radio Record... he competed for young people with José Paulo de Andrade on Radio Bandeirantes at 3:00 PM; Padre Olavo Pezzotti was the vicar in Vila Madalena where I used to live from 1960 to 1969. 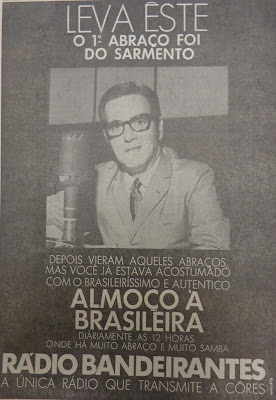 He had a daily show at Radio Record from 5:50 through the Hora da Ave Maria - 6:00 PM.